Learn to read the runes as they were used in the nine worlds linked by Yggdrasil, the World Tree. This is an all-round manual for those who want to read the runes for personal guidance or even as part of a professional consultant's package of divinatory skills. Reading the Runes includes the official rune course material for the British Astrological and Psychic Society. 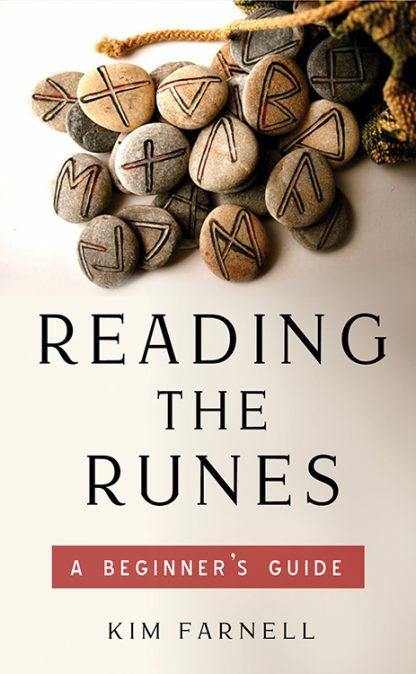 It covers the history, mythology, and meaning behind each rune and explains combinations within readings. Farnell also offers practical advice for making and energizing your runes, and she suggests numerous traditional rune spreads to suit a variety of purposes. Kim Farnell has been a professional astrologer since 1990 and has taught astrology and lectured extensively in the UK and overseas. She has an MA in cultural astronomy and astrology and is the author of several books.